“I want to believe that the role of women is changing. 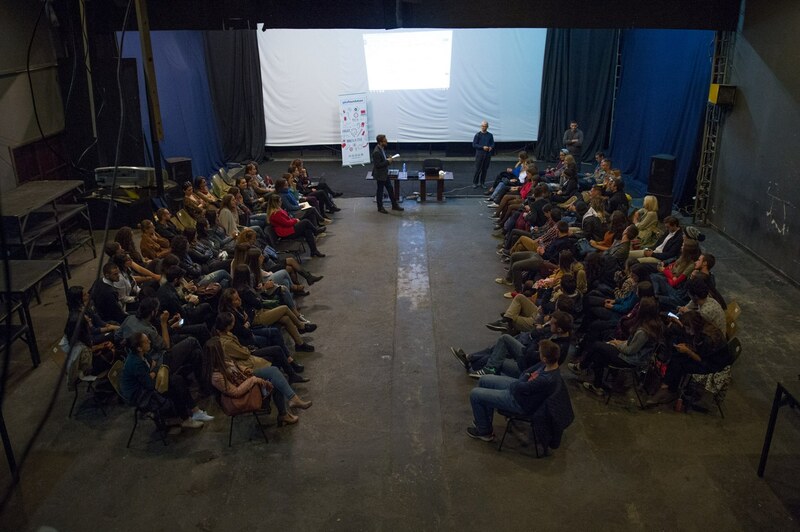 Women take care of their family, and they also run successful , was the starting sentence by Petrit Bejdoni, in the 45th edition of BarCamp Prishtina, discussing the role of women and men in the 21st Century. Attempting to define and learn from each other about the roles of women and men in the modern era, BarCamp Prishtina #45 gathered a full house – once again – and helped foster a spirit of discussion, learning, and friendship. Discussing the changes that the roles of women and men have adapted throughout time and in the modern days, the Oda Theatre was buzzing with eager minds willing to share, discuss and learn from each other. Petrit Bejdoni started his speech with a simple gesture, he asked for two volunteers to raise their hands not knowing what he was going to ask of them. He afterwards rewarded them with chocolates! This was done as an act of encouragement, motivating the audience to participate and raise their voice. Petrit went to explain further how he was raised in a spirit of gender stereotypes, in a household where his mother and sisters were always asked to do the house chores, and he, on the other hand, never had to do anything because he was a man! “The separation of these types of things according to gender has brought us where we are now.” In Petrit’s opinion, the gender roles never change because we do not exercise critical upon them, and we accept them as they are because they “have always been that way”. Petrit invited the audience to think upon these things and not only change their mindset, but to live out the gender equality they would wish upon their mothers and family members. Jeta Rexha contributed further to the discussion, in raising several ideas in follow-up to the previous speaker and helping engage the audience in thought provoking ideas and discussion about gender role, feminism, meninism, equality, and many others. The second, and last speech, was ended in thoughts of empathy by the audience. Encouraging each other to firstly act with empathy, secondly to recognize a problem as such – a problem, and treat each other with empathy in solving problems together. BarCamp Prishtina #45 ended in notes of spirited discussion between the speakers and audience even after the edition officially closed.